ANNESTOWN BOG: CATTLE EGRET between Annestown & Dunhill Castle. Nr STRADBALLY: 3 CATTLE EGRETS still present at Drumlohan / Carrickbarrahane Cross Roads. DUNGARVAN: 2 Crossbills (male + female) at Gold Coast gold-course, Black Guillemot off Ballynacourty Pier. 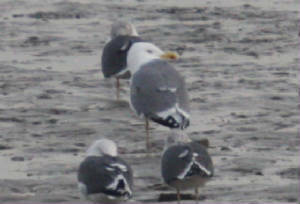 RINCREW (Tourig/Blackwater estuary): Yellow-legged Gull on Co Waterford side. 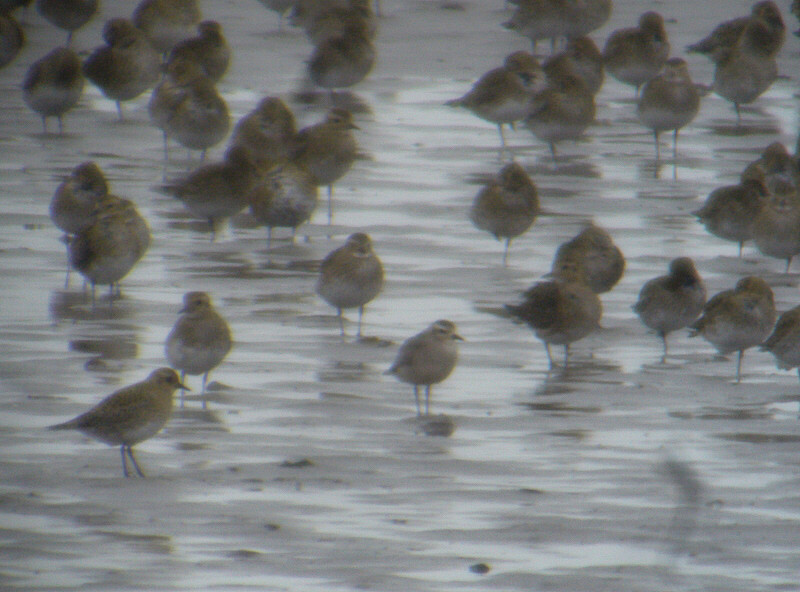 BLACKWATER/BRIDE VALLEY: Hen Harrier east of Tallow, 147 Whooper Swans at Camphire, Woodcock nr Newport Bridge. BLACKWATER CALLOWS: 85 Whooper Swans 2 km east of Ballyduff. 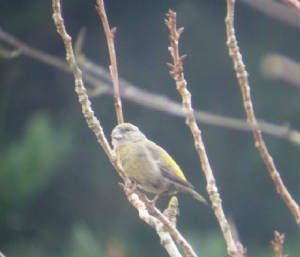 Nr ARAGLIN: Dipper at Araglin village, Jay & Woodcock at Cahergal Wood, another Jay at Knockleama East. 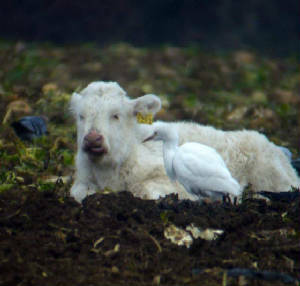 Nr STRADBALLY: 3 CATTLE EGRETS at Drumlohan / Carrickbarrahane Cross Roads. CLONEA STRAND: Merlin at Ballinclamper. 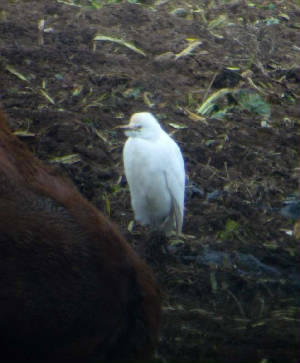 Nr STRADBALLY: 3 CATTLE EGRETS at Drumlohan / Carrickbarrahane Cross Roads, where up to 10 were seen last winter; with cattle in beet fields. DUNGARVAN: 3 Long-tailed Ducks, a Slavonian Grebe & 2 Great Northern Divers off Ballynacourty pier. Nr WHITING BAY: 5 Tree Sparrows near west side of bay. HELVICK HEAD: 2 Common Scoters. CLONEA STRAND/BALLINARD: Adult dark-bellied Brent Goose at Ballinclamper & Ballinard. TIBBERAGHNY (south Co Kilkenny): 182 Greylag Geese & 27 Whooper Swans. TRAMORE BACKSTRAND: 580 Brent Geese & 15 Greenshank, Saleen/Clohernagh. DUNGARVAN: 3 Slavonian Grebes between Ballynacourty & the Cunnigar. 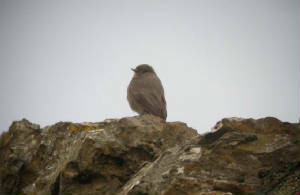 TRAMORE: Black Redstart on rocks at west side of beach. 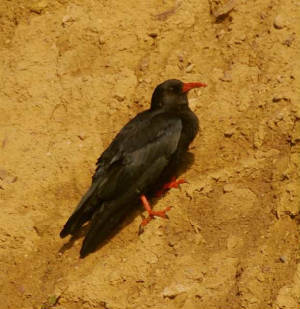 FINISK RIVER: Dipper & 18 Stock Doves near Kilmolash Bridge. DUNGARVAN (I-WeBS count): Totals included 1360 Brent Geese, an adult BLACK BRANT, 31 Great Crested Grebes & 4 Great Northern Divers. 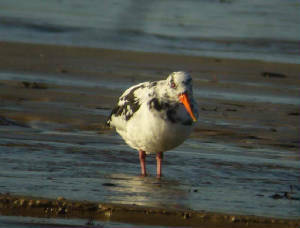 CLONEA STRAND: Adult Mediterranean Gull at Ballyvoyle Cove, 186 Brent Geese. WATERFORD CITY: Otter in St John's River at William Street bridge, c10.30 pm. TRAMORE BOATING LAKE: Adult Mediterranean Gull and pair of Scaup. TRAMORE BOATING LAKE: Adult Ring-billed Gull and pair of Scaup. DUNGARVAN: BLACK BRANT at pitch & putt course, 3 Shoveler nearby. TRAMORE BOATING LAKE: Adult Ring-billed Gull. DUNGARVAN: Adult dark-bellied Brent Goose off the Sports Centre, Blackcap in town. DUNGARVAN: BLACK BRANT at pitch & putt course. BRISKA WOOD (nr Lemybrien): Jay. WATERFORD CITY: Whooper Swan with Mute Swans at mouth of the St John's River. TRAMORE BOATING LAKE: 2 Gadwall & 2 Scaup still present. BALLYSHUNNOCK RESERVOIR: 2 Whooper Swans & 7 Gadwall. TIBBERAGHNY (south Co Kilkenny): Greylag Goose numbers now up to c150, possibly including some movement from Coolfin/Derrigal further downriver. 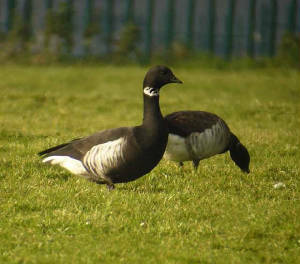 DUNGARVAN: BLACK BRANT at sports complex / pitch & putt course. WEST WATERFORD: A high total of 7 Hen Harriers at a nocturnal roost. RIVER FINISK: Kingfisher at Dromana Bridge. KNOCKMEALDOWN MOUNTAINS: 6 Red Grouse & 6 Woodcock near Ballysaggart. BLACKWATER CALLOWS: 34 Whooper Swans & 9 Shoveler near Ballyduff, 2 Dippers below Lismore Castle. BLACKWATER VALLEY: Otter below Dromana House, 423 Whooper Swans at Camphire, Water Rail at Newport East. WHITING BAY: 2 Tree Sparrows at west side. BRICKEY RIVER: Dipper below Twomile Bridge. CAMPHIRE: 412 Whooper Swans & a Barnacle Goose. RAM HEAD: Merlin & 30+ Common Dolphins. TIBBERAGHNY (south Kilkenny): c70 Greylag Geese (first of the winter here). DUNGARVAN: Dark-bellied Brent Goose at the Christian Brothers School field. DUNGARVAN (I-WeBS count): Adult BLACK BRANT near pitch & putt course, Spotted Redshank at Killongford, 3 Great Northern Divers, 21+ Great Crested Grebes & updated total of 1767 Brent Geese (a record count here?). 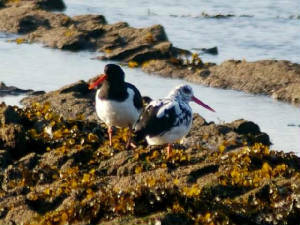 CLONEA STRAND: 2 Purple Sandpipers at Ballinclamper, 2 Great Northern Divers & 163 Brent Geese. 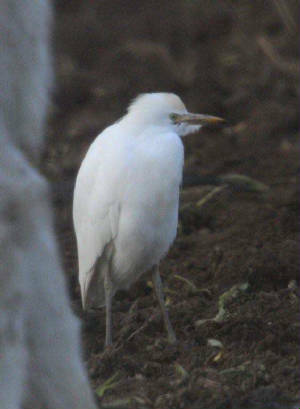 FIDDOWN/TIBBERAGHNY (Co Kilkenny): CATTLE EGRET (1st Kilkenny record?) with 16 Whooper Swans at Tibberaghny, 7 Little Egrets along river. COOLFIN/DERRIGAL: 53 Greylag Geese (one with a grey neck-collar) & 13 Whooper Swans near Derrigal Cross, Water Rail along Clodiagh River, & 4 Little Egrets. CAMPHIRE (Bride/Blackwater): 390 Whooper Swans. TRAMORE BOATING LAKE: 2 Scaup & 2 Gadwall still present. DUNMORE EAST: 3 Purple Sandpipers at the pier. TRAMORE BOATING LAKE: 2 Scaup (male + female) & 2 female Gadwall. DUNGARVAN: 2 Crossbills & a Black Guillemot at Ballynacourty, female/imm Eider off Ballynagaul pier. ARDMORE BAY: 3 Mediterranean Gulls (2 adults & a 2nd-winter) in gull roost with 900 Black-headed, 650 Common, 220 Lesser Black-backed & 20 Herring Gulls; also a Merlin west. RAM HEAD: Female/immature Hen Harrier & 2 Fin Whales. DUNGARVAN: White Wagtail at the Lookout. BALLYSHUNNOCK RESERVOIR: 7 Gadwall, 22 Tufted Duck & 2 Whooper Swans. DUNGARVAN: 2 late Swallows at Abbeyside. CAMPHIRE (Bride/Blackwater): 334 Whoooper Swans. 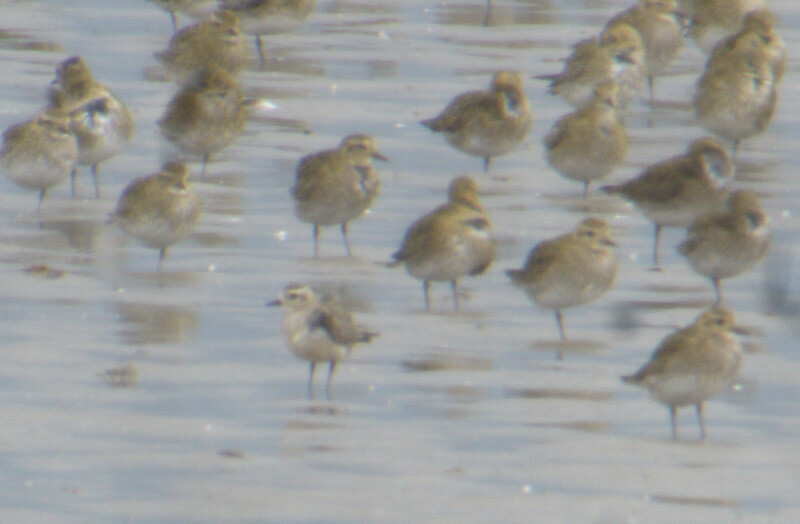 DUNGARVAN: Juvenile AMERICAN GOLDEN PLOVER on sandbank at east side of the Cunnigar (2nd county record); also the RUDDY SHELDUCK x SHELDUCK hybrid again. HELVICK HEAD: Merlin, 2 late Manx Shearwaters & 2 Great Skuas. Nr CAMPHIRE BRIDGE: 2 Buzzards (adult & juvenile) & c300 Whooper Swans. WHITING BAY: Juvenile Eider & a Common Sandpiper. TIBBERAGHNY / PILTOWN: c20 Whooper Swans newly arrived. RAM HEAD: Fin Whale, 30-40 Common Dolphins, Porpoise & Red-throated Diver. GARRARUS TO KILFARRASY: Buzzard, 2 Wheatears & a late Red Admiral; also a Sunfish (still alive) on beach; a late HOBBY at Kilfarrasy beach. Nr WATERFORD CITY: Another Buzzard south of the city. KNOCKADERRY RESERVOIR: 15+ Little Grebes & 2 Goldneye. RATHMOYLAN: Female or immature Hen Harrier & 50 Skylarks. 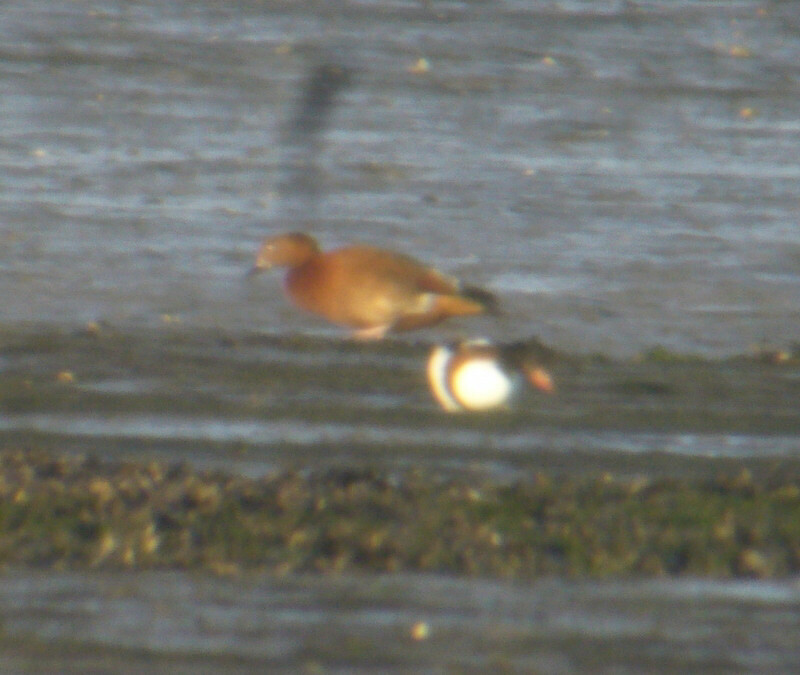 DUNGARVAN: RUDDY SHELDUCK x SHELDUCK hybrid at the Cunnigar. CAMPHIRE (R. Bride/Blackwater): 260 Whooper Swans (a big increase from 88 on 25 Oct) & 2 Greylag Geese.